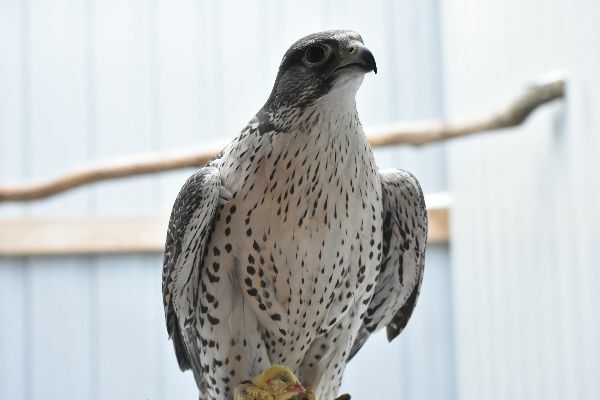 The Gyrfalcon is the largest falcon in the world. 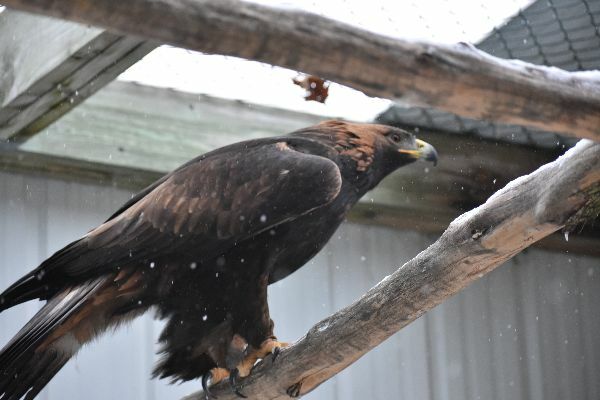 Despite its size, it maintains a falcon-like profile with a long tail and long wings. 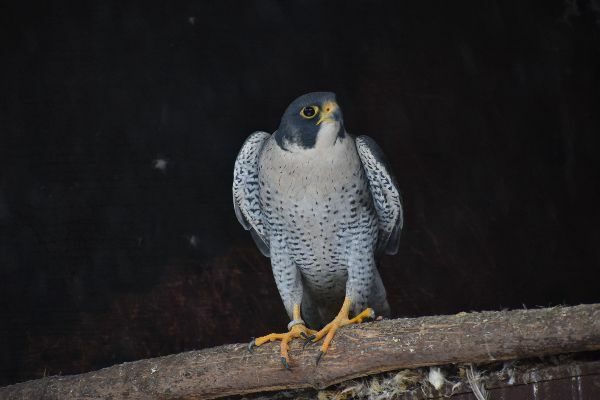 Its wings are broader and more blunt at the tips than many other falcons. Peregrines are believed to be the fastest animals in the world, capable of speeds of up to 200km per hour when diving through the air after prey. Although this is a large and varied family, its members share many similarities. They are all diurnal hunters and, for the most part, use their sharp vision to locate prey, which they capture with strong feet. They vary from medium-sized to large birds and most have an upright posture and strong, short, hooked bills.